Week Three of Summer Camp went by so quickly, it seemed to support the mantra that time flies when you are having fun! Again, we had many returning campers, some from Weeks 1 and 2, others from last year or 2016. Overall a great group of kids who had the chance to work on my challenging yet fun drawing, painting and ceramics projects! 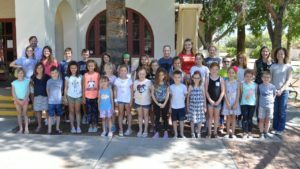 Congratulations Week Three Summer Campers!